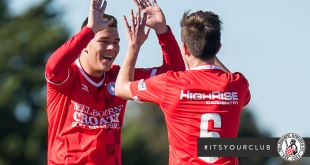 The Melbourne Knights have taken one massive step closer to playing in the Alanic Victorian Premier League next season after securing a vital three points over the Bentleigh Greens at Kingston Heath Soccer Complex on Friday night. A two-minute double salvo with goals from Thomas Skara and Adrian Zahra handed the visitors the win. 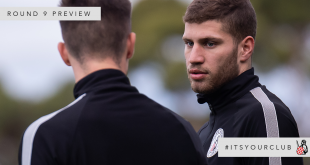 Danny Tiatto led the Knights from the back, deployed in a central defensive role providing structure, leadership and a wealth of experience to the Knights. The opening stages were slowed by several fouls up and down the length of the pitch as both sides attempted to physically influence the game. Fleet-footed Jean Dubois took it upon himself to illicit the first real response from the crowd. After a skilful run on the right, he cut across the box before driving in a low cross which drew an instinctive save from Peter Gavalas who held well. 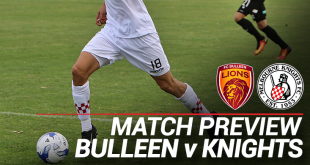 The Knights had all the attacking impetus in the early part of the game, and Bentleigh’s only source of danger going forward came through set pieces. Damir Lokvancic forced a fumbled save from Ante Loncaric with a free kick at an awkward height in the 12th minute. Dean Piemonte’s troublesome hamstring flared up and he was forced off in the 21st minute with Chris Sanita replacing him. 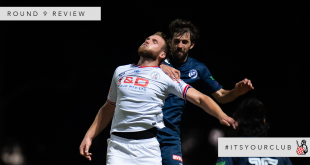 Bentleigh’s best chance of the half came as Jack Webster played a brilliant 50-yard through ball for Johnny Sapazovski, but the striker looped his effort high over the bar, much to the despair of the home supporters. The first half hit its peak in the final two minutes with both sides going close but unable to break the deadlock, signalling a sign of things to come in the second period. 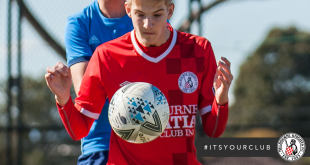 The Melbourne Knights began the second half on the front foot and could quite easily have taken the lead if not for undisciplined and selfish play. Kevin Townson and Adrian Zahra both ran at the Greens’ defence with the latter wide open on the edge of the box, but Townson elected not to square the ball to his better positioned teammate, trying to do it all himself and failing dismally. Townson was on the ball again and after a mazy run beating several players, he finally poked an effort at goal, only to see it roll wide. 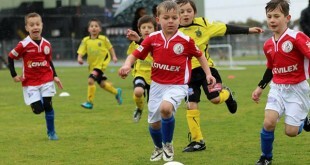 Bentleigh were being overrun and needed a response fast. They controlled a five minute period with neat play resulting in Lokvancic tapping Sanita’s cross towards the bottom corner. The crowd was waiting for the net to ripple, only to be amazed by an outstanding reflex save by Loncaric to deny the breakthrough. The hosts’ defending has been a problem area all season and cost them again. 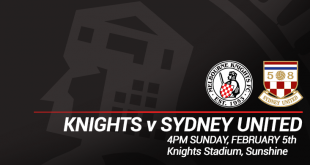 After failing to effectively clear a corner, American-Croatian centre back Tom Skara nodded the ball home for the Knights, delighting their travelling contingent of loyal fans. Bentleigh’s morale was completely shattered and they subsequently fell to pieces. Another poor clearance allowed Adrian Zahra to spoon the ball into the top corner and almost certainly seal the points and survival of the Knights. The Greens’ threw everything at the game and brought on Kurt Crnic and pressed as high as possible, desperate for a result. Six yellow cards were handed out in the closing stages, with usual suspect Jean Dubois picking up his customary booking in the 77th minute; his eighth for the 2010 season. 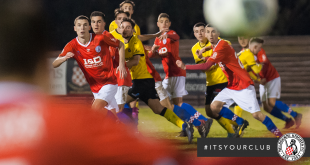 The Melbourne Knights sat back looking to pounce on the counter and could have scored on half a dozen occasions if not for wasteful finishing. The Knights fans were vocal all night, and erupted at the sound of the final whistle. They now just need two points to guarantee their Alanic Victorian Premier League future for next season. 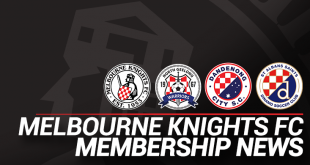 The Knights finish the season with games against in-form Northcote City (home) and Green Gully (away), while Bentleigh host South Melbourne on Wednesday night in a catch-up match before very difficult fixtures against Hume City (away) and Richmond (home) to round out the season. 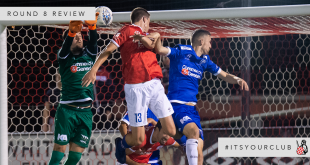 Bentleigh Greens: Peter GAVALAS, George STAVRIDIS, Craig SMART, Sam DE VITO, Con ANTHOPOULOS, Damir LOKVANCIC, Alex ROJAS, Adam FADLJEVIC, Jack WEBSTER, Johnny SAPAZOVSKI, Dean PIEMONTE (Sanita 21’). Subs: Kurt CRNIC (on 70’), Clifford HENRY, Anthony SELEMIOIS, Billy LIOLIOS, Christopher SANITA (on 21’ off 70’ Crnic). 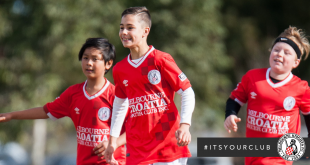 Yellow Cards: Rojas 66’, Stavridis 75’, Lokvancic 80’, Craig Smart 81’, Adam Fadljevic 90+1’. 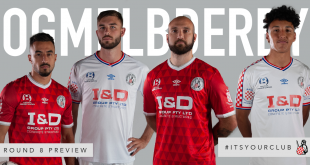 Melbourne Knights: Antony LONCARIC, Ryan FILIPOVIC, Ben SUREY, Liam CANNELL, Josip MAGDIC (Anthony Colosimo 86’), Ivica PRAIZ, Kevin TOWNSON (Ples 67’), Adrian ZAHRA, Thomas SKARA, Jean DUBOIS (Jacob Colosimo 82’), Daniel TIATTO. Subs: Tomislav PLES (on 67), Anthony COLOSIMO (on 86), Jacob COLOSIMO (on 82), Gazmend AJDINI, Matthew HRASTOV. Yellow Cards: Cannell 31’, Dubois 77’. Goals: Skara 68’, Zahra 69’.